Thanks to smartphone an increasing number of people tend to spend most of their times indoor. For people from all walks of life, it is becoming increasingly difficult to live without smartphones or mobile apps. Mobile apps representing all aspects and use cases penetrated innermost recesses of our daily life. Industries are particularly paving the way for digitisation into workplaces. 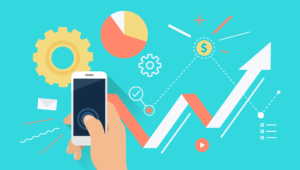 For an app development company, it is important to know that the market of enterprise mobile app can really outpace the growth of other apps. As the number of mobile handsets is supposed to cross a whopping 2.1 billion units in 2019, we can expect the demand for enterprise apps to reach an all-time high. This is why we need to explain once again why enterprise applications tend to become so popular for businesses and why they make the most dominant trend for the world of apps. Understanding these reasons is also crucial for the app success. Here throughout this post, we are going to explain the key reasons and benefits that make businesses go for enterprise apps. Enterprises apart from the above-mentioned reasons should go for their own enterprise apps because of a wide array of benefits. Many of these benefits are related to the business outcome, profitability and customer engagement. Let us have a look at some of the key benefits of building enterprise apps. Mobile apps help customers to make a faster buying decision that in turn boost sales and profitability. This is particularly true for enterprise apps with ecommerce functions and B2C sales proposition. An enterprise app also helps a business making a brand presence and boosting brand reputation. As the majority of web users now use smartphones, a mobile app carries a significant weight of the brand alongside the website. Mobile apps enjoying closer interaction with customers actually can access more relevant user data and insights to help business conversion. An enterprise app can function as a one-window solution to access all business data. Over a period of time when the business brand has a loyal customer base, by offering a mobile app you can help them access your app frequently creating more chances of business conversion. You can also encourage web users to download the app and thus can boost loyalty. An enterprise app can also integrate an ERP or CRM solution to help marketers and business strategists offer customer service and manage resources from the same integrated platform. A mobile app will always help a business to stay connected with the customers day and night and this will reflect in higher business output and revenue. To push the growth in ROI, a customer-focused mobile app is now Invincible. A dedicated mobile app also comes as the always open marketing channel for business. All your sales promotions and campaigns can easily be offered for the benefit of customers using this channel. An enterprise app working as a robust platform to facilitate communication, collaboration and management result in a great boost for efficiency and productivity for the workforce. With a mobile app, a business stays at par with the leaders of the industry who already have mobile apps representing their business brand. This allows a business the scope to take the advantage of a level playing field. Thanks to a dedicated mobile app a business remains accessible throughout the day and night. This helps typical product-oriented businesses to remain accessible like a store remaining open for 24×7. Since the enterprise mobile apps emerged as invincible business tools, almost all industries jumped in the mobility bandwagon. Let us have a look at the key industries benefited by mobile apps most. The biggest beneficiary of mobile apps as of now has been the retail industry. While in the previous decade ecommerce came in full force and transformed retail with online stores, now smartphone apps are transforming ecommerce stores into mobile commerce apps. Every major online retailer now has their own mobile app while many of them decided to remain accessible only through a mobile app. 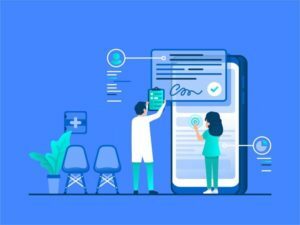 The entire healthcare industry thanks to mobile apps received numerous benefits in terms of enhancement in healthcare standard, the proactive and prompt reach of medical aid, data transparency and access to healthcare facilities. From facilitating remote diagnostics, consultation and care to mobile apps for healthcare record management to mobile apps for health inventory management, mobile apps transformed the healthcare sector in more ways than one. Travel apps became now the mainstream medium for booking tickets, accommodations, hotels, restaurant seats and everything to make your journey and travel a comfortable one. Travel apps are also helping the tourism industry promoting travel packages, destinations and tours better through a more customer-centric manner. Online food delivery apps have literally transformed the food ordering from restaurants. Thanks to these apps across all major cities across the world a whole new ecosystem of culinary experiments and customer-centric food delivery services have emerged benefiting millions of consumers, delivery professional and a whole array of local restaurants. An increasing number of people prefer seeing their favourite television programs and movies on their mobile devices instead of turning on the television set or by going to a movie theatre. From live streaming to news and media updates to watching a movie, for every type of entertainment you have a whole array of sophisticated mobile apps delivering a high definition audiovisual experience where you can be total control, unlike traditional TV media. In conclusion, we must spare a few words about how you can start building a mobile app that benefits your existing business. First of all, validate the app idea with your existing audience and then do extensive research on your target audience and competitive apps. Based on your audience and a validated app idea you can proceed to approach a credible development company with a strong portfolio and credentials.